• What the Grasslands Programme did in Gauteng? The SANBI Grasslands Programme, a UNDP-GEF funded programme implemented by SANBI between 2008 and 2013, had a specific focus on Gauteng as the economic and decision-making powerhouse of South Africa. The majority of the province falls within the grassland biome, and holds significant grasslands biodiversity which includes the critically endangered Bushveld-Bankenveld vegetation type. The main aim of the Grasslands Programme was to mainstream biodiversity objectives into the urban economy of Gauteng. To do this, it worked in collaboration with the Gauteng Department of Agriculture and Rural Development (GDARD) as the Implementing Agent, engaging closely with municipalities and other key partners to deliver on several key interventions. A pressing concern for grassland ecosystems in Gauteng was the rapid and ongoing process of urban sprawl, both at the city boundaries and into the remaining natural areas. While urban development is a necessity, proper planning and a thoughtfully structured urban environment can limit urban sprawl and promote an efficient city. Key to achieving this is the availability of up-to-date biodiversity information, systematic biodiversity planning tools, and other tools and guidelines to improve the integration of biodiversity priorities into land-use planning and decision-making. Grasslands Programme intervention: To develop tools, guidelines and a biodiversity mainstreaming toolbox (summarising relevant policy, guidelines, decision-support tools) for use by province, municipalities and other key stakeholders involved in urban management and decision-making in Gauteng. The tools, guidelines and toolkit developed are described in the ACTION pages of this website. Urban development is governed at a provincial and municipal level through regulations stipulated in the National Environmental Management (NEM) Act 107 of 1998, as well as other provincial and municipal regulations and policies. Under this legislation, officials within municipal and provincial environmental departments authorise proposed developments and protected area plans. There was a need and an opportunity to strengthen capacity of those involved in implementing what can be a complex mix of policies, using best available information and tools, and improving relationships between actors across the province. This was towards enhancing the integration of biodiversity objectives during municipal development planning and decision-making. 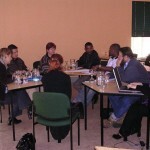 Convene Urban Task Team meetings to share, connect and problem-solve (these continue to be convened by GDARD as the ‘Gauteng Integrated Biodiversity Management Task Team’. Sharing news with its networks. Providing training through partnership with ICLEI (Local Governments for Sustainability) to planning, environmental and property professionals. Although there were several existing provincial and municipal reserves in Gauteng, when the Grasslands Programme began, these had yet to be proclaimed under the Protected Areas Act, which was passed in 2003. The Grasslands Programme identified several urban conservation sites that required the strengthening of their protected area status. These areas contribute to achieving provincial biodiversity targets in the Gauteng conservation plan (C?plan) as well as national biodiversity targets. Grasslands Programme interventions: To secure biodiversity priority areas in Gauteng as biodiversity refugia. The Grasslands Programme assisted in developing these procedures and piloting them at certain sites. Checklists, application forms, templates and flow charts of the steps that need to be taken prior to proclamation were developed to assist this new proclamation process in Gauteng. Biodiversity information, title deeds and property boundaries were collected into a dossier for each of the sites in preparation for their proclamation. Through the implementation of the Grasslands Programme’s objectives in Gauteng important lessons were learnt about mainstreaming biodiversity into the urban economy.